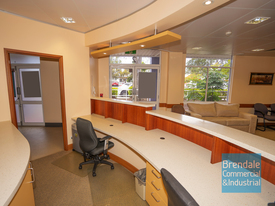 14 Commercial Real Estate & Properties in Strathpine are listed in 4 categories. We have 5 Retail ShopsSale , 4 Medical and Consulting PropertiesSale , 3 OfficesSale and 2 Development LandsSale . Ray White Commercial Northern Corridor Group is pleased to offer to the market 314 Gympie Road, Strathpine. The site provides a unique retail or development opportunity in the heart of one North Brisbane and Moreton Bay's leading regional commercial centres. Located on Gympie Road directly opposite the Strathpine Centre which attracts approximately 5.5m customers per annum, the site has retail exposure to over 35,000 cars per day. There is significant scope for commercial or mixed use redevelopment on the site with the Moreton Bay Regional Council potentially prepared to offer substantial town planning and infrastructure charges benefits. bull; Total land area of 4,411 sqm ; bull; 50.8 metres of Gympie Road frontage; bull; Dual street access to Gympie Road Railway Avenue; bull; Existing 500 sqm of building area including showroom, offices and warehousing area; bull; 400 metres from the Strathpine Railway Station; bull; Current Primary Use for Outdoor Sales Area for Dealers, Cars, Boats etc; bull; 400 metres from the Strathpine Railway Station; bull; Potential for substantial town planning and infrastructure charges benefits; bull; Motivated vendor looking to do a deal quickly. For more information or to arrange a site inspection, please contact agent Peter Laurent from Ray White Commercial. This great investment opportunity is situated on high flood free land with excellent access and parking. Located on busy Gympie Road, Strathpine approximately 25km from the Brisbane CBD. Tenanted with a popular franchise and Long Term Lease Tilt Slab concrete walls Internally, well fitted out (bright and colourful) Building area: 1,361m2 (approximately) Ample car parking Genuine seller For more information please contact Richardson Wrench Commercial Brisbane North. 130 m2 fitted medical suites ready to go Spacious waiting room Large reception desk with filing storage 4 separate office with wash basins Ducted air conditioning Security system Data phone provision Kitchen meals area Internal toilet amenities Plenty of off street parking Will be sold with all fixtures fittings Located in the Strathpine Medical Precinct. Fully fitted out medical suites with quality presentation. Call The Commercial Guys today to book your inspection or for further information. Unless otherwise stated, the price/property may be subject to GST. High Quality Strathpine Medical/office Space For Sale All reasonable offers con..
Price Reduction: Medical Or Office On Dixon Street, Strathpine $250,000 + GST Or Nearest..
Free Standing Premises Suitable For Retail, Office Or Medical Strathpine $1,595,000 + GST if appli..